Preview screen for sorted products. The Improved Sorting extension for Magento 2 enables online store owners to manage products sorting on the catalog, search results page, and products list widgets globally. Ranking factors and sorting criteria are the basis of the module’s functionality. Using the factors, you can create various rules that will define the products order in the catalog. By configuring products ranking, you decide which items to move to the top of the products listing and which ones to display in the end. As for the sorting criteria, they define in which order products will be presented in the catalog to your website visitors. 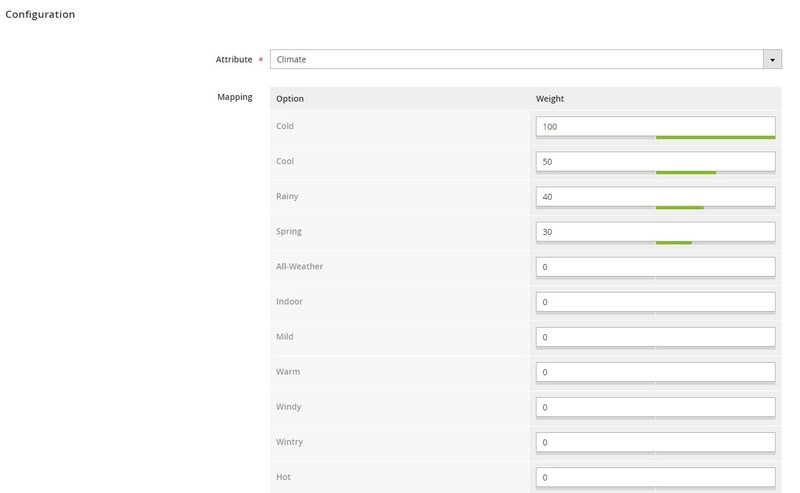 With the Magento 2 products sorting module, you get control over the availability of sorting options for your clients and provide them with flexible catalog browsing. When using this factor, you can sort products by the date when they were added to the catalog. The module allows setting flexible time intervals for the products display. This way, you will be able to show your newest items at the top of a category page. The Mirasvit extension provides an option to sort products listing by ratings and the number of customer reviews. It is also possible to define a date range for reviews that should be considered in the ranking. Thus, you can place your top rated products with the latest customer feedback at the beginning of the catalog. With the Magento 2 smart sorting module, you can also range your catalog items according to how many times they were ordered during a specific period. With this sorting option, you help your website visitors make a purchasing decision by understanding which products are the most popular among other customers. By applying stock status to the products ranking, you can move items that are currently not available to the end of the catalog and search results page. This feature has a direct impact on your store profit since out-of-stock products don’t produce sales. By setting this factor as global, in-stock items will always be displayed first regardless of the applied sorting method. In the same way, you can display products that don’t have images last in the listing. With Improved Smart Sorting by Mirasvit, it is also possible to set the listing priority based on particular attributes or attribute set. Using this ranking factor, you can promote products of a selected brand or push specific goods to the top during seasonal sales. This type of factor lets admins set flexible rules using conditions based on various product attributes, like gender, size, material, color, SKU, category, and others. This way, you can create advanced conditions for products sorting and use them in your promo campaigns. You can also utilize the profit factor when ranging the catalog items. In this case, products are sorted taking into account the profit margin. The discount factor allows sorting products based on savings. It means that a bigger difference between standard and special price will define a product’s higher priority and move it to the top of the catalog. This way, you can promote discounted products during sales and show customers how much they can save, motivating them to make a purchase. SPV stands for sales per view and determines the ratio between the number of orders and the number of product views. When applying this type, you can also specify the time interval to consider for products ranking. As for sorting criteria, the Mirasvit extension brings flexible settings for adjusting the availability and variety of sorting methods on the storefront. When configuring sorting options, you can decide which one will be used as default. Default sorting affects customers’ impression of the range of good you can offer when they start browsing your catalog. By setting different rules and their combination used for ranking, you can show items that have the best performance on your store first on the page, thus improving your product listing and search results. Besides, you can add any number of sorting options based on product attributes or ranking factors available for frontend users. 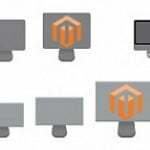 As for other important functions offered by the Magento 2 improved sorting module, you get an opportunity to arrange the products order in the Magento widgets. Thus, you can increase the effectiveness of displayed offers in the catalog products list widget. Moreover, the extension provides the Preview interface in the backend for both sort criteria and ranking factors. With this feature, admin can quickly check how the products list will appear based on the applied ranking factors and created sorting rules. Now, let’s proceed with exploring the Mirasvit Improved Smart Sorting extension’s functionality from the admin perspective. The grid supports filtering and sorting of the columns and allows deleting and modifying each factor individually as well as adding new ranking factors. 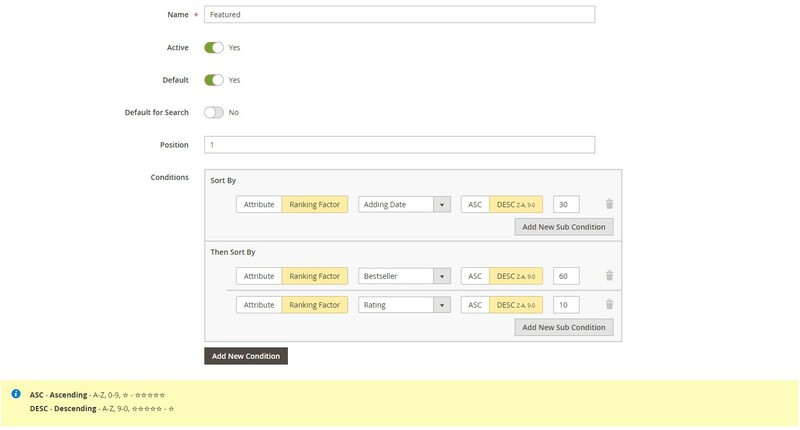 When creating a new factor, first, select its type from the available options: Date, Attribute Set, Attribute, Image, Product Rating, Bestsellers, Profit, Rule, Stock Status, SPV, Popularity, or Discount. Then, create a factor name and set its status (active or not). If you want to apply this factor prior to other sorting criteria conditions, make it global and specify its weight. These settings are general for all factor types. Further options will vary depending on the selected type. For Bestsellers, you should enter the number of days passed after the date of the product order. If you apply products sorting based on the adding date, decide whether you want to use the date of creation or update and enter the number of days in Zero Point field. If you want to use the Attribute factor, choose a necessary attribute and specify weights for each parameter in Mapping. It is also necessary to set the mapping for the Attribute Set type. For the factors based on rules, you should select specific conditions. Sales Per View defines the ratio of the number of sales to the number of product views. When using it for the products sort order, specify the number of days to consider. If you click Preview on the same page, you can check how the factor affects the products ranking. 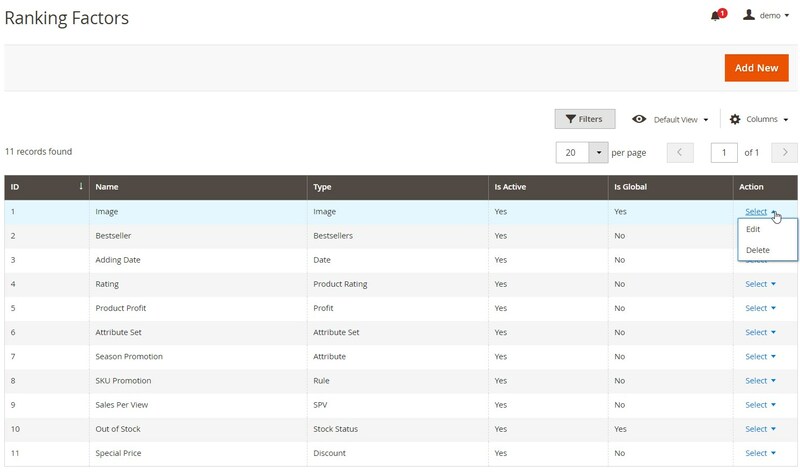 The opened grid shows details of each catalog product and allows applying filters to find a particular item. Now, let’s go to the Sorting Criteria page where you can view the list of created sorting options, edit and delete them, and add new criteria. The grid on the page includes information on criteria IDs and names, status, and position in the products sorting options on the frontend. The New Criteria screen is divided into 2 sections: General Information and Advanced Configuration. 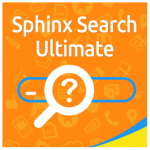 In General Information, you can create a title for the new criteria, make it active, set as default and default for search, and specify its position. Next, there is the Conditions area where you can select catalog attributes (Product Name or Price) and configured ranking factors that will be used for sorting. You can sort ranking parameters in ascending or descending order, delete created conditions, and add an unlimited number of new conditions and sub-conditions. In the Advanced Configuration tab, specify an appropriate code. The Preview function also works for the sorting criteria. Below, you can see how a storefront visitor can apply configured sorting criteria to the catalog. For all sorting options, the newest products will be displayed first. Items that have no image and are currently out of stock are set with the lowest priority. Thus, they will be shown at the end of the products listing. 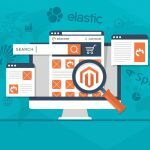 Mirasvit Improved Sorting for Magento 2 significantly improves user experience on an ecommerce store by providing convenient catalog browsing. With the extension installed on a web store, customers get extended sorting options on category and search results page that help them quickly find desired products. From the merchants perspective, they get the set of flexible tools allowing them to configure the most relevant rules for products sorting. 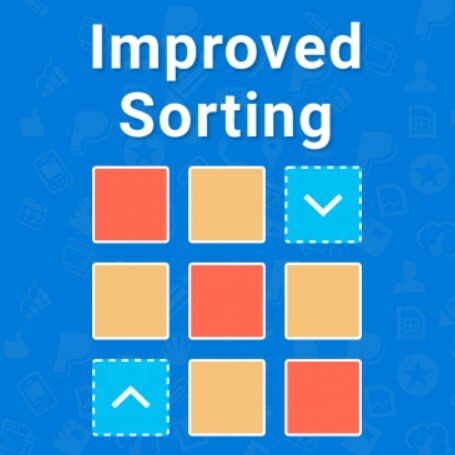 Improved Sorting by Mirasvit helps users create a more effective sales strategy and influence customer choice by promoting specific products. Thus, by leveraging the module’s functionality, store owners can increase conversion sales and generate more sales. 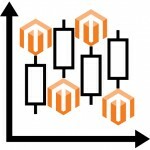 As for the price, you can buy the Magento 2 extension for $169.